May is designated as Better Hearing and Speech Month (BHSM) by the American Speech-Language-Hearing Association in order to promote the services provided by speech-language pathologists (SLPs) and audiologists across the many populations they serve. 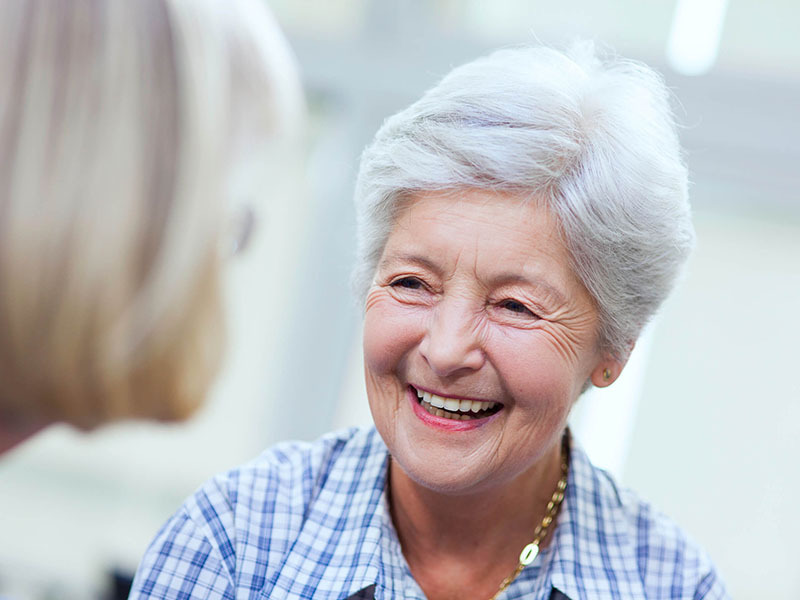 Considering that people 85 years of age and older make up the fastest growing segment of our population, BHSM is also a time to advocate for patients that need communication services, especially in a skilled nursing facility (SNF) setting. SLPs in SNFs are experts in aging and disease processes, and spend the majority of their time on interventions for swallowing disorders and cognitive changes. Dysphagia, or disordered swallowing, can cause patients severe problems ranging from dehydration to death. Patients who are unable to safely eat what they desire experience a lower quality of life which may lead to depression and/or noncompliance. SLPs utilize many treatment strategies and tools to improve a patient’s swallow strength, coordination, and timing. They can also address meal time behaviors that put patients at risk for choking and aspiration and work with the patients who require modified consistencies to improve tolerance. Cognitive changes among SNF patients are relatively common and range from a temporary confusion following surgery or trauma to advanced dementia and age-related memory decline. SLPs can use functional treatment strategies with these patients. The diagnostic process is critical with these patients in order to determine the severity and rehab potential. SLPs can also differentiate between cognitive deficits versus language disorders, which may present with similar symptoms. It is critical to address cognitive changes as soon as they are apparent to facilitate maximum independence and quality of life for the patient. SLPs are a key part of an outstanding SNF rehab program. The most successful SLPs actively pursue new information and techniques. Celebrating SLPs in their unique practice will improve patient outcomes, safety, and satisfaction. Any month is a good month for better speech and hearing!